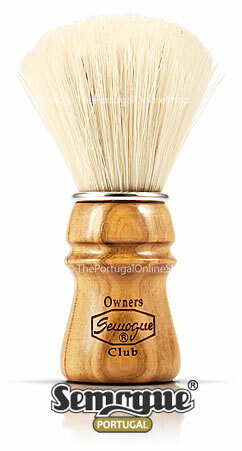 Made by SEMOGUE, the Shaving Brush has been manufactured for many decades. It maintains a strong handcrafted component, so that the quality and excellence of the product is never lost. In late 2009, a special edition brush was made by Semogue having the best boar bristles possible stuffed densely into a luxurious wooden handle. Only 100 of these successful brushes were made and quickly sold. 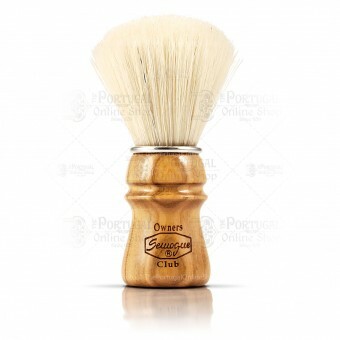 Given the huge amount of people asking for a re-edition, specially from the "Semogue Owners Club", an internet community present in Facebook, Damn Fine Shave and ForoAfeitado.com devoted to the wonderful Semogue brushes and part of the Limited Edition boar brush project think tank. The demand was high and Semogue created this new special Owners Club brush. This fine brush has the best boar bristles available, carefully selected to provide the ultimate shaving experience. This is arguably the best production boar brush ever made. It has the same dimensions and the same special boar hair only present in the 2009 LE brush. The knot has a 24 mm diameter and 57 mm height. The handle is 57 mm tall and has 37 mm in its widest point. The handle is made of cherry wood. Born in 1955, the Semogue Shaving Brushes factory continues to be a family company that remains faithful to the handcrafted production process of its products. With its doors open in the same building where it was born, Semogue continues to paint tradition, giving form to an object that continues to have no direct competitor. In the year 1954, a Lisbon businessman by the name António Augusto da Cruz decided to include in his range of products, the shaving brush. With the intent of starting this new activity, he contacts a company in Praia da Aguda, Vila Nova de Gaia that manufactures brushes for the construction industry. After a round of talks, the production process begins, followed by the commercialization of the products. The business' success was a total surprise. However, an unexpected situation arises. The owner decides to immigrate to South America, which meant that new installations had to be found in order to continue manufacturing the product. In January 1955, the company António Augusto da Cruz is founded in Vila Nova de Gaia, by António Augusto da Cruz, whose production manager is Francisco dos Santos Gomes. In September 1975, the company is bought by Francisco dos Santos Gomes, who baptized the company Francisco dos Santos Gomes, and invited his son, Manuel Gomes, to collaborate with this project and give the company continuity. It is at this time that the brand is named Semogue, a name that has remained until present day. With the death of Francisco Gomes in October 2000, his son Manuel Francisco da Silva Gomes, assumes, by succession, the company's leadership... and that is how the Manuel Francisco da Silva Gomes. company is born. In its origin, Semogue had as its philosophy the introduction of its products in northern Portugal, seeing as the Excelsior brand was going strong in the southern part of the country. Today, both brands compete side by side in different product segments, representing an average annual production of 120.000 units.The shaving machines simply cannot erase this familiar and handcrafted tradition, but the truth is that together with shaving cream, they do take away some of the shaving brush's market share. 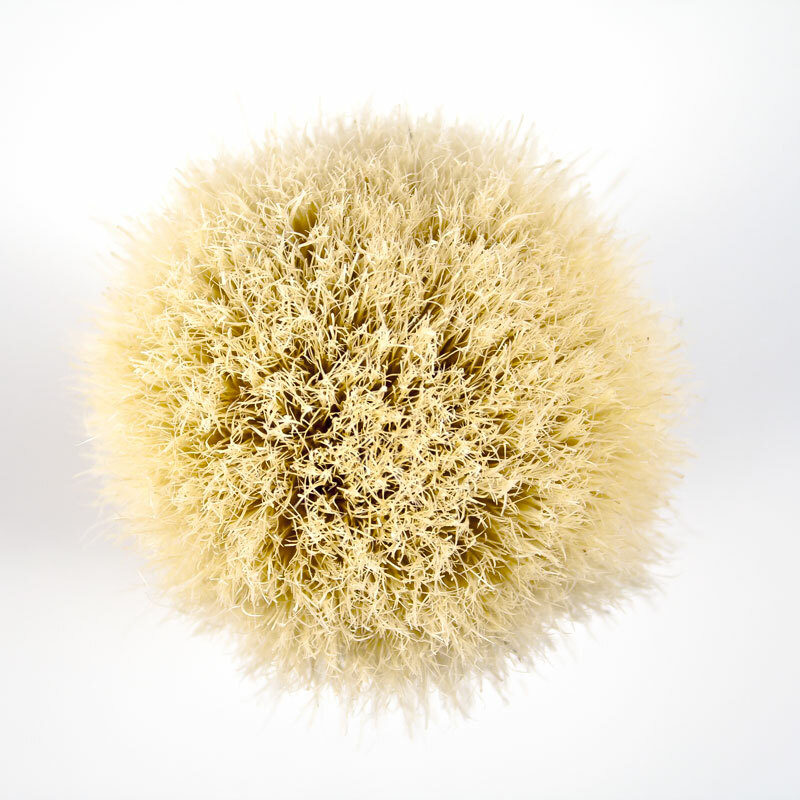 The resistant shaving brush, in badger or pig bristle, finds its main clients in luxurious shops, perfume stores and even in large supermarkets. Besides the Portuguese market, the Semogue brand has found admirers of their traditional shaving brushes abroad, exporting mainly to countries such as: Spain, United States of America, France, Canada, Ireland and Germany. In the year 2010, the brand celebrated 55 years in the beards of a tradition that this Portuguese company does not want to let disappear. Very god brush. Big and efficient. Works like a charm. A top notch brush!